WILLEMSTAD - More internet campaigns and less expensive advertisements on television. 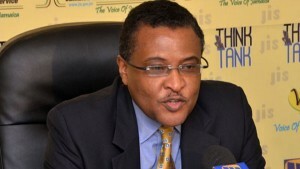 That is one of the plans of the new director of the Curacao Tourist Bureau (CTB) Paul Pennicook. The marketing budget of the CTB is limited and therefore the little money that is available must be used correctly. According to Pennicook, internet campaigns also have more effect than advertising on TV. The budget of the CTB is 30 million guilders. Pennicook says that Curaçao is fantastic. Prior to joining the CTB team, he had the opportunity to visit the island several times. He says he really loves the island and that there is huge potential here to grow tourism. This is exactly what he plans to do, says the new CTB Director. “We are going to explore new markets in addition to enhancing the current ones we are already working with. I know the Dutch market is very strong. We’ve been growing the American market, the Canadian market and the Brazilian market in particular.” Penicoock also said that they are exploring other markets in the Latin American region that could mean a lot for Curaçao.